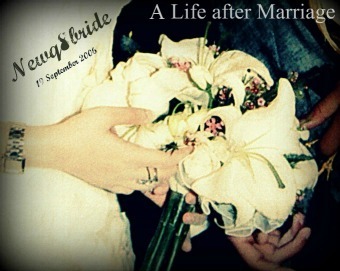 NewQ8Bride : A Life after Marriage: if u r a facebook or BBM user u`ll never get married !! if u r a facebook or BBM user u`ll never get married !! الكويت و أفلام شباب الكويت و شروطهم العجيبة الغريبة اللي ما تطلع الا على راس بنات الكويت ، لو على بنات الدول الصديقة جان عادي . What's wrong with FB and blackberries?? ya3ne seriously you'd choose your wife 3la what technology she uses??? THAT'S JUST WRONG :)Etha her Facebook profiles isn't "appropraite" ok maybe acceptable laken just 3la ena having an account may9eer. And BB, no comment! and I'm sorry if I offended anyone who thinks this way. الي يفكر بالطريقة هذي احنا ما نبيه ! كل من يرى الناس بعين طبعه ! That is for the lame people who think that way. A girl might not have a facebook nor a blackberry and wouldn't be right for marriage. I think men are just looking for an excuse not to get married o yaboun il shara 3l bnt! I don't think any sane girl will want to marry a man with such ridiculous conditions anyway. ish hal narrow mindedness? welle beit.ha fee ishterak internet b3d ma yndash? wallah nihayat el denya !! mako theqa killish! .. o 9ij kil man yara elnas eb3ain 6ab3a! ..
my story el7imdelah the opposite! zoji uhwa eli sharalee el Blackberry! o ekhtarab o sharalee wa7id thani bedala!! ... ell7imdela el theqa mowjoda! o yadree 3indi facebook o twitter o 7ala! el7imdela ma 9ar shay! cuz el theqa mowjoda! ..
ya shabaab el denya ebkhair ! haddaw!! Calm down ya3ni :P !! IF HE THINK SO BEFORE MARRIAGE !!!! WHAT WOULD HE WILL DO AFTER THAT????? "Satisfying everyone is an impossible goal"
كبار السن، حريم، مستواهم الثقافي لج عليه.. رفضوا رفضا تاما تزويج عيالهم لوحده عندها فيس بوك -هذا حد علمهم- لأنهم يشوفون ان "البنت تستخدم الانترنت عشان تتعرف على شباب" وما يستلطفون البنات اللي عندهم بلاك بيري لان "هذرته وايد!!" وعمرهم ما سمعوا بتويتر بس اكيد "مواقع مغازل يديد"!!! Really?! loool I can't believe people steep down to that level!! NewBride habebte please let this be published please please!!!! But I couldn't stand reading the last anonymous' comment. Do you know that you just insulted me with your comment? I have my photo on facebook and I use blackberry. And I can tell you in your face that nobody has the right to judge me as a bad person for such a silly reason. Be 100000000% sure that I have no intention whatsoever to dedicate my fb or bb to flirting and getting men to fall at my feet. G6e3a 3aib shal tafkeer? Ro7ay o 3eshay 7ayatech ele tdoor 7owl el paranoia from technology and the obsession with men and the girls who flirt with men - FAJ'A EL DENYA MA FEHA ELLA ASHYA2 MEKHTAR3ENHA FOR MEN!! Now facebook and photos and bbm are all about flirting? Sub7an Allah! Magol ella Alla yahdekom weynawer 3alaikom gabel la tekberon wethe3 3omerkom wentaw mkhokhkom mgaffela. I am not telling you to get a facebook account and get bb. I am telling you know your limits and becareful of judging a mother's eligibility for motherhood 3ala asas facebook o bb o kharabee6. Yeah? ps: I wonder if you would consider a father irresponsible and childish for having a facebook account and blackberry. Wela elsalfa bas 3ala el banat wel rayal shayel 3aibah ba3ad???? pps: The general manager of one of the best banks in Kuwait does have a facebook account and does use bbm. :) madre entay weya nathretech el dhayja wain wesaltay.